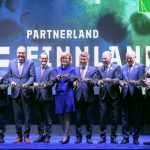 What a sympathic Partner, this wild, original, Finland with his six Regions, his clean, nordic Nature, his many oats and his happy people! 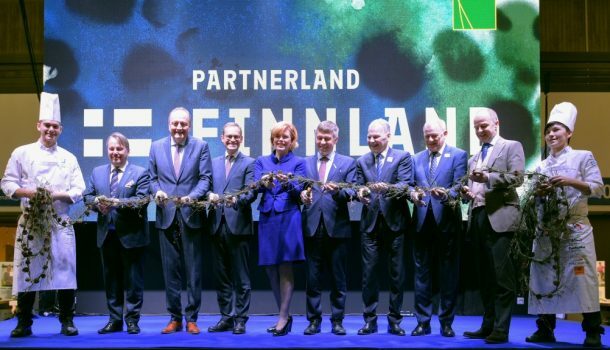 Finland’s food is the purest in the world, is maintained at the fair, thanks to its pristine nature and its snowy winters with temperatures below -20 degrees. In the port of Helsinki, in the market hall, even fresh sturgeon is offered. 36 other states and 61 countries decorate Berlin’s exhibition halls with their special delicacies until January 27th 2019. The flower hall impresses with 26000 planted pallets, built like a city. In Switzerland, the cheese is rolling. And Italy is not all about olives. No matter where, whether Russia, Ukraine, India everywhere the eye is astonished and the enjoyment lures. 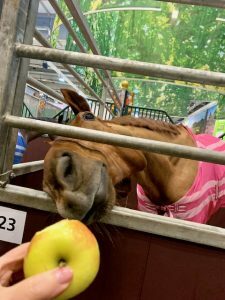 In the animal hall this year, small horses dominate in the Hippologica, the largest indoor equestrian sport event in Berlin, and in the pet sector, in hall 26c, life is presented with purebred cats. Behind the scenes but is fought hard. Finland’s farmers are also struggling for profitability. In D the network expansion should help. 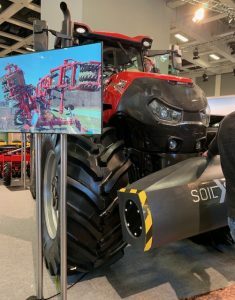 At the opening press conference, Federal Minister of Agriculture Julia Klöckner declared that she wanted to counter agricultural conflicts with the expansion of digitization. 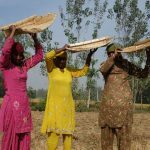 70 million would be provided for a net at the furrow. For example, using precision farming, to minimize the use of pesticides, it would be easier and cheaper to farm. Their goal is to continue to bring conventional and organic farmers closer together. 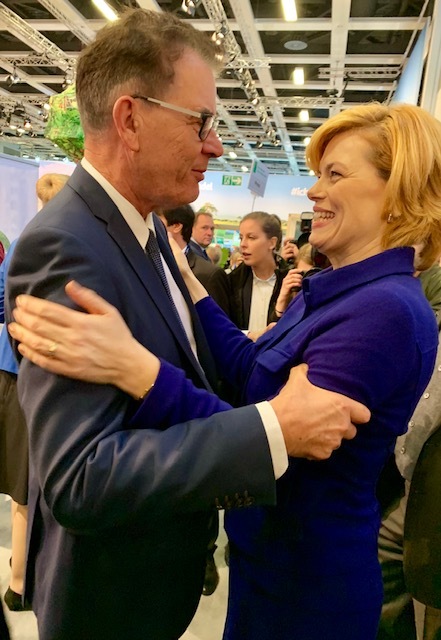 “And we need an expert advice for agriculture under the auspices of the UN,” says Klöckner. European animal welfare labeling is important for successful cooperation in the EU. At the moment, Klöckner is currently having the Max Rubner Institute examine which animal welfare label is most suitable for all countries in the EU. As far as the piglet castration was concerned, the minister remained hard. Although there are alternatives, such as the immunization of male piglets with two vaccinations, which has long been successfully practiced. The animals would need less antibiotics, since there would be no more open wounds, and it would also be much faster than removing the testicles, said a practicing this method farmer. Why the minister does not support this way remains open. It would only requires some changes and the animal welfare law would be fulfilled. In the stable cows could now check in like passengers on the airport, through the CBS, the cow body scan. With 3-D cameras, the animals are scanned to monitor their physical condition. 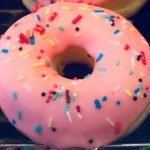 Lame and emaciated animals can thus be identified faster and supplied; but it also continues to encourage factory farming. In addition, the diagnosis is very important for the next vet. The Federal Association of Practicing Veterinarians bpt, registering worrying declines in practicing veterinarians in the countryside. 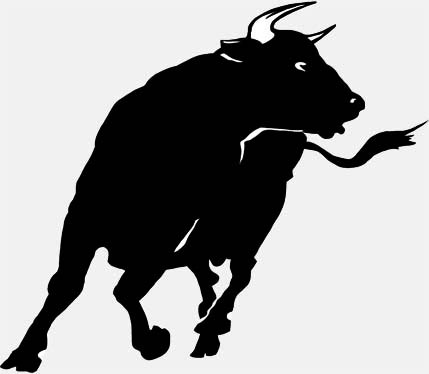 Another focus is the sell-off of land. Young farmers barely have a chance to buy land. “The peasants are on their way home,”says much of their land fragment,” says the president of the German Farmers’ Union, Klamroth.The subsidies from the first pillar don’t go to the farmers, but to the owners of the land. Small farms, which are extremely important for a secure future of our Feeding can not survive that way. 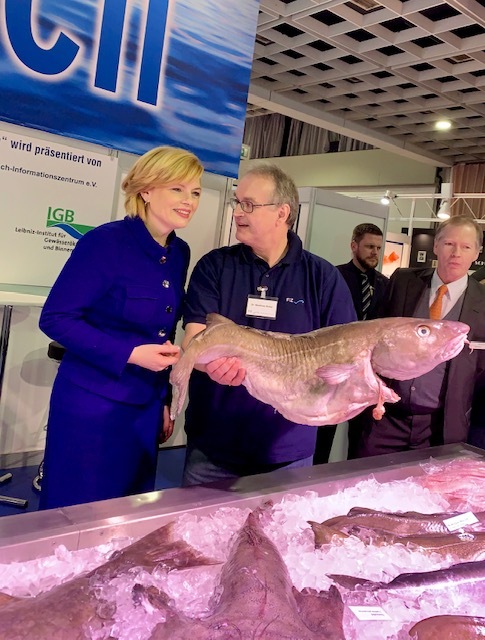 The President of the german Farmers’ Association, Rukwied claimed: “you just can’t change history”, which is nonsense! Animal Welfare was also made like industrial animal husbandry, and can’t be withdrawn. Though “Degrowthen” would be a very sensible way to regulate the markets again. But Rukwied does not see any overproduction, pig tails and ears would have a strong demand abroad. This “argument” is used again and again. The German pig market is more than satisfied with 120%. The problem is globalization. 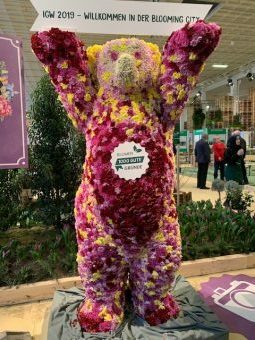 As every year, politics uses the Green Week stage for Hugs and Smiles, but there are no structurally-based laws this time either. 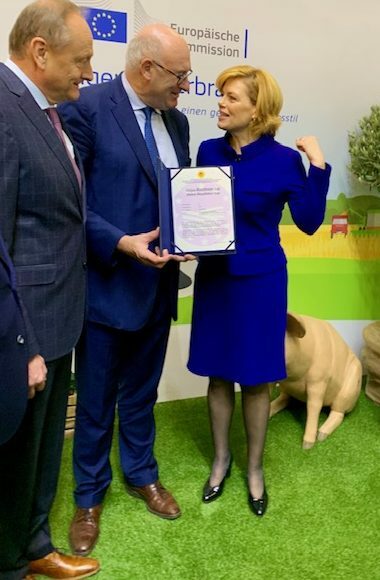 The farmers try to help themselves in part, with their own ways, such as the piglet immunization, which is supported by the organic association NGO “Naturland”. The EMB, the European Milk Board, has already developed a market regulation instrument in 2015 with the aim of creating a stable market for all European milk farmers and, in the long term, to become independent of subsidies. 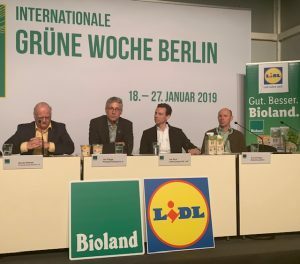 Bioland has entered into a cooperation with Lidl. The aim is, to guarantee farmers, who switch to organic, to produce for long-term sales. 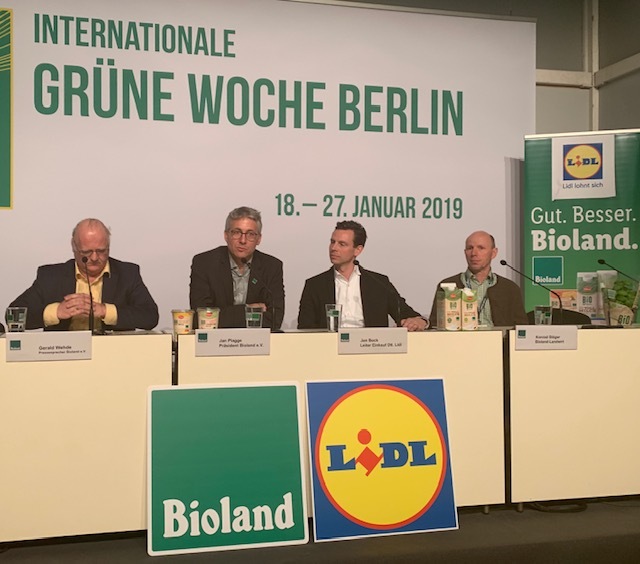 Naturland and Aldi also offer “cheap organic”. Whether the farmers finally become dependent on the discounters again, or whether it marks a turnaround remains to be seen. 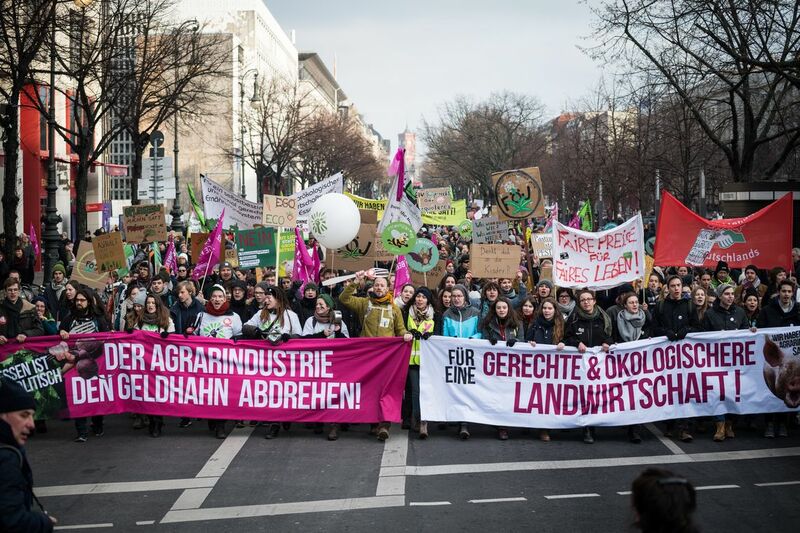 Many farmers and consumers “are tired of it” and went on Saturday in Berlin together on the street. Unfortunately, the animals can not do that. They continue to be used as a means of production and squeezed to the limit of ethically and morally acceptable. Although it has been enshrined in the Animal Welfare Act since 2006 that animals must not be hurt, they are not dehorned, they continue to be dehorned, the milk yield is pushed to the limitless, the teeth are snapped off at the pigs, their testicles are removed without anesthetization, the beaks are shortened , Fish sink into plastic and much more. 35,000 people call for the start of the green week by Minister of Agriculture Julia Klöckner: “Stop the wrong agricultural policy! We are sick of it! 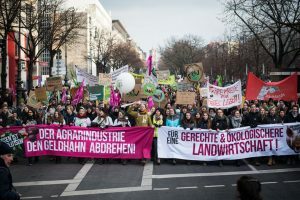 and call for an agricultural policy for farmers, animals and the environment!”– Spokeswoman Saskia Richartz on behalf of the more than 100 organizations that called for the demonstration. The demonstration alliance calls on the federal government to tackle the overdue restructuring of agriculture. 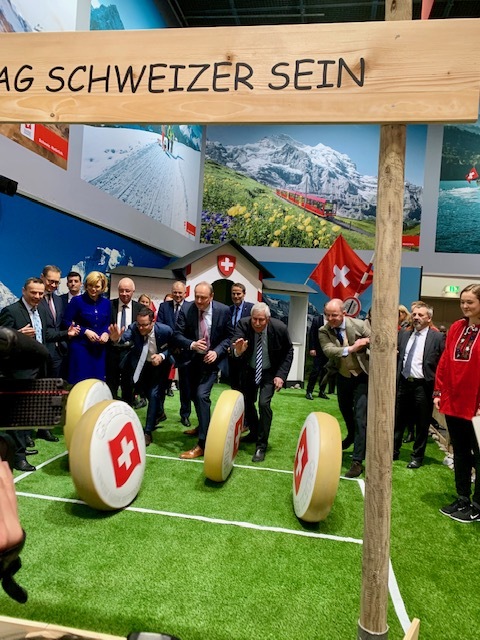 With the current reform of the EU agricultural policy (CAP), the Federal Government decides significantly which agriculture will be financed in the future by taxpayers’ money. Agricultural policy of the Federal Government fuels climate change and farm life. In Germany, 6.3 billion euros of EU agricultural funds are distributed each year, more than three-quarters of them as flat-rate subsidies per hectare. In practice, this means that the 3,300 largest businesses will receive one billion euros a year, while the smallest 200,000 farms will have to divide almost 700 million.